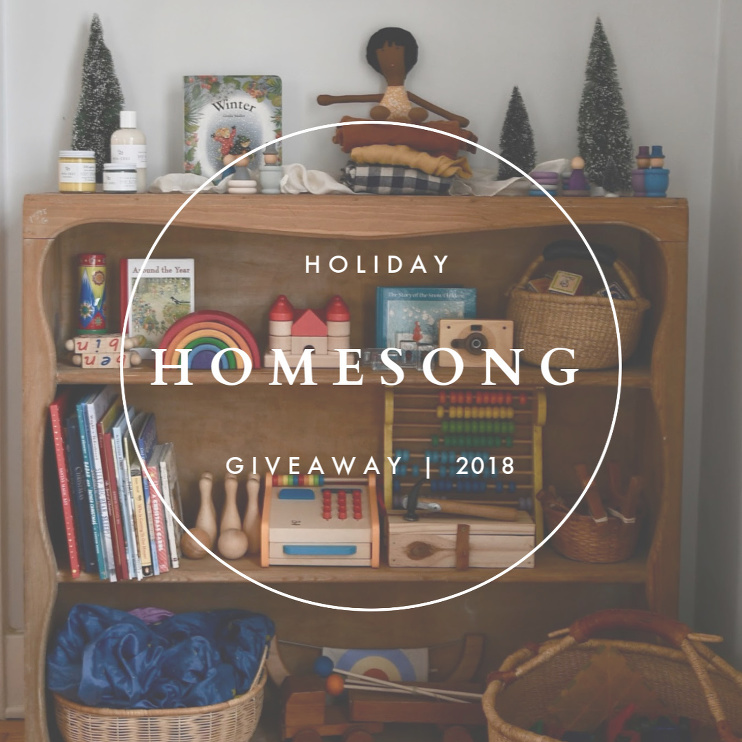 HUGE Homesong Holiday Giveaway 2018! Our tree is up, festive wreathes with big velvet bows are hanging outdoors on windowpanes, and fresh cedar garland is draped wherever I could reach. It’s December! It’s Christmas! Each year when this special time rolls in with all it’s bells and lights and stars, I ponder on how I can give you, dear reader, along with this community, something special to show my heartfelt appreciation for all the support you’ve given throughout the seasons we’ve shared. This space wouldn’t be what it is without you, and I don’t tell you enough just how grateful I truly am for the time and energy you continue to offer this space when you stop by for a visit. I know you’re busy and your plate is full, so I thank you from the deepest part of my being for believing in Homesong and giving my online home a cherished piece of your day in the often chaotic flow of life. It was always my intention to create a space that honors simple things done with care, for it’s not only the mantra of this here blog, but also our family’s grounding philosophy that we work passionately to fold into the rhythm of our day. We value slow, sustainable, soul-filled living, and Homesong offers me the beautiful opportunity to shine a light on aspects of our journey with you. In thinking up what I could do to show you my gratitude, it seemed fitting to share a handful of small, family-owned shops that I believe share in this same ethos of simplicity + intention…shops that are working hard to make the world a better place by offering alternatives to what our mainstream culture would rather us buy—which is disposable, plastic, fast-made stuff. These shops tell a different narrative and operate from a landscape cultivated with purpose and peace with their missions are ones of connection, curiosity, and wonderment. I am delighted this Christmas season to host my very first Homesong Holiday Giveaway offering three (yes, three!!) of you with the opportunity to win over $400 worth of beautiful, well-made things to want, need, wear, and read to tuck under your tree this year. In addition to this giveaway, each shop is very generously giving each one of you a discount on goods with the code HOMESONG from now through Sunday, 12/9. You can see the details of each shop’s discount below! 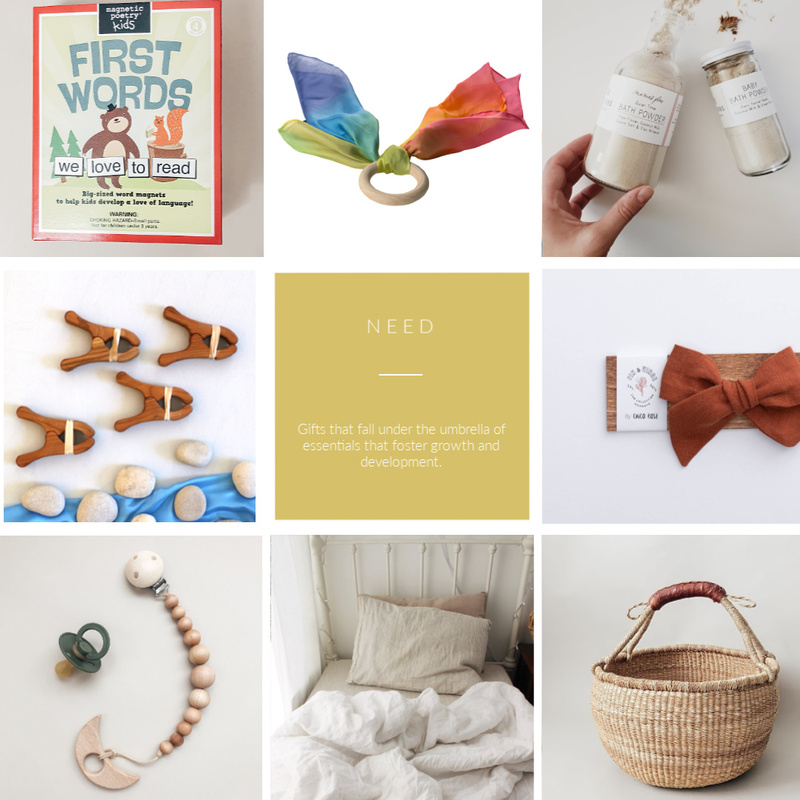 If you have yet to buy gifts for loved ones, little ones in particular, I hope you find inspiration here and take the time to check out the gift guides I’ve put together. We do Santa in our home, and for years now have followed the Want/Need/Wear/Read theme for gifting, along with various stocking stuffers and small trinkets. Below are some favorites from each shop, echoing this simple theme to give you some ideas if you happen to do the same! Head to my Instagram page and follow each of the six shops mentioned below. They are linked there for you. Share ONE item from any of the inspiration want/need/wear/read boards below you have your eye on in your comment on Instagram. Tag 1 friend (minimum) in that same comment who you think would love or benefit from this giveaway. For additional entries, repeat steps 2-3 sharing another item you love from the shops listed. All three winners will be selected on Sunday evening at 9 PM CST. 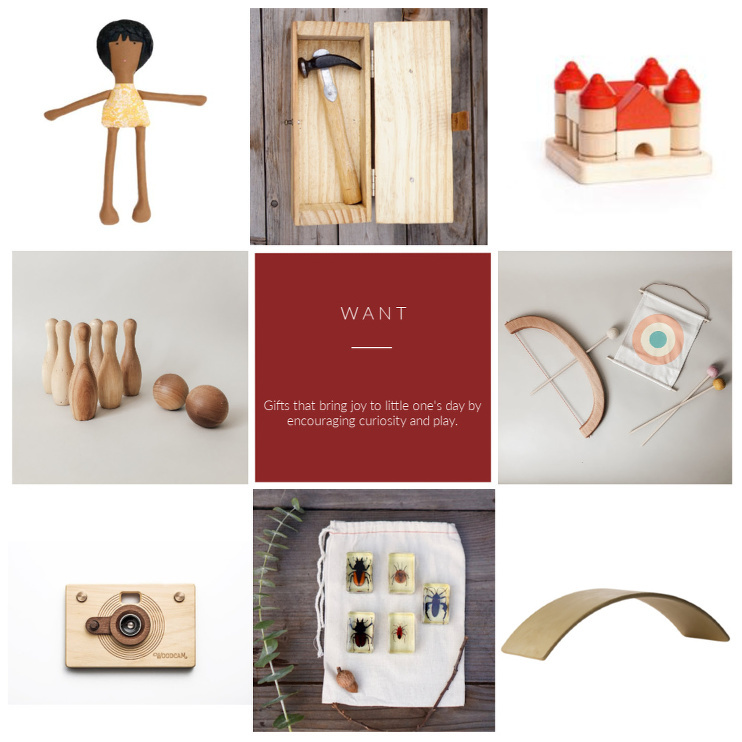 Brimful Shop | A small shop full of modern and whimsical toys focused on simplicity and use of natural materials. Sarah’s Silks | Home of all things imaginative and silk to spark your little one’s imagination through creative play. Wild Creek Co. | A mindful shop for little ones that invoke wonder and curiosity while supporting organic, recycled and fair trade products. Min Erbs | Maker of nature-based wellness products and remedies passed down from generations of healers. Fin and Vince | Creator of heirloom clothing and home goods that embody timeless and charming design. Lil Bellies | An imaginative shop for little explorers who have a love for nature and this sacred earth we share. I love you and I love you blog and insta! What an amazing giveaway! Talk about a blessing. I’m sure happy you’ve also introduced these shops to me, I really try to only shop local and family owned! Question, my Instagram is private, does that affect the chance of winning? Love this post! Always looking for cute gift ideas! Such a lovely giveaway with great brands! I am so beyond thrilled you put together another holiday gift guide, last years Maker-Reader-Pretender was so lovely I really did anticipate the next. As a mama who tosses back and forth with the idea of giving over receiving and also wanting to bring the joy of gifts to my little ones I so so truly appreciate (and LOVE) the ideas on your boards.